Fashion week season is mostly over and while most of the runway looks aren’t exactly wearable IRL, the real gems are what the attendees are wearing (and I don’t mean the celebs sitting front row). I’m talking about the street wear fashionistas that are showing us the wearable trends for the coming season. While the average Singaporean guy most probably won’t want to put on embroidered trench coats or satin bombers, one trend that we can see translating to the Singapore streets is the Camp Collar Shirt. The Camp Collar, aka the Cuban Collar or Cabana Collar or Revere Collar, is definitely not a new addition to fashion. It was popularised in the 1950s but its origins pre-date even the 20th century. Its traditionally characterised by an open collar that resembles a notched lapel on blazers, straight hems and short sleeves. 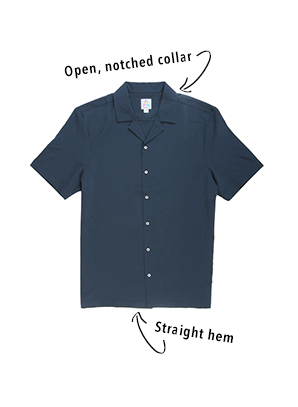 It usually does not have a top button although modern editions of the camp collar shirt have been known to include a small button loop at the collar. It typically has a casual, resort feel and most people would think of bowling shirts or shirts that tourists wear while chilling in the Bahamas. This season we’re seeing it reappear on the high street in all prints and cuts. Some of the biggest names on the high street like Topman, Zara, Reiss and even Uniqlo have come up with their versions of the camp collar shirt. With the camp collar shirt becoming more accessible and varied, it would be a shame not to hop on the bandwagon (especially since its rare that a fashion trend is so wearable and puts comfort first). So here are some tips for how you can rock the camp collar trend without looking like you popped out of a scene from Weekend At Bernie’s! The whole vibe of the camp collar shirt is relaxed and casual and the stand out feature would be its open collar. So never ever wear a tie with it because then it would just become another button up shirt. Try wearing it with suits to make your suit less formal and more day appropriate. If you’re afraid of looking like a mobster from the Godfather movies, go for suits that are slimmer and have more modern silhouettes to contrast the boxiness of the shirt. Don’t be scared to experiment with prints. Try prints that are larger, less repetitive and in muted colours if you don’t want to look like a typical tourist. Or you can go for kitschy tropical prints and rock the ironic hipster tourist look. Although the camp collar is traditionally boxy and straight hemmed, modern variations also have them in slimmer cuts that retain the defining collar. 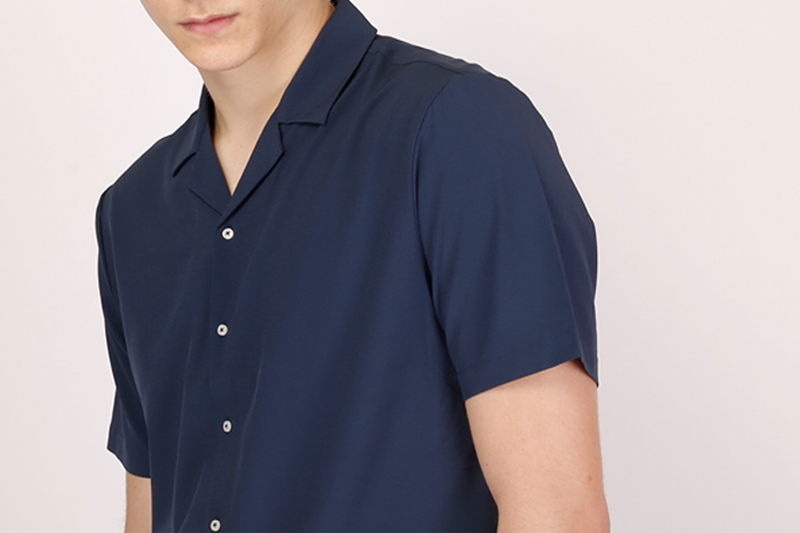 So even if you shy away from boxy silhouettes there’s definitely a camp collar shirt out there for you. We hope these tips will help you find the ideal camp collar shirt for you or give you ideas as to how you can style yours. Thanks for reading and till next time, stay playful!